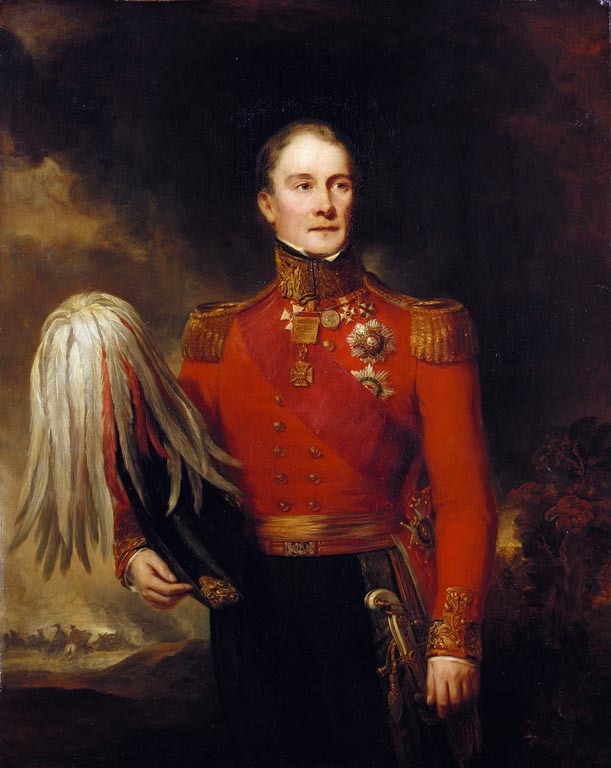 General Kempt took over the command of Sir Thomas Picton's division when the latter was killed at the Battle of Waterloo, after having served with distinction in the Low Countries, Egypt and throughout the Peninsular War. Kempt is depicted in the uniform of a general, with the ribbons and star of the Bath, the star of the Royal Hanoverian Guelphic Order, and the Peninsular Gold Cross. His medals and badges are the Legion of Honour, the Waterloo Medal, the medal of Maria Theresa, the Military Medal of William of the Netherlands, and the Order of St George of Russia. The portrait was painted in 1836 and exhibited at the Royal Academy in 1841; it was exchanged for a Pickersgill portrait of the same sitter which had hung in the Waterloo Chamber from 1837.